Every girl needs an amazing makeup bag...one that is easy to store everything from colored pencils, to jewelry, to actual makeup. This Wednesday's Style Steals will be that perfect makeup bag (in 6 NEW style! )...but in grab bag style. Each makeup bag purchased will include a pair of earrings, a bracelet and a necklace (a $60 value!) - all for the amazing grab bag price of $19.98 & FREE SHIPPING! That means you get 4 items for under $20! 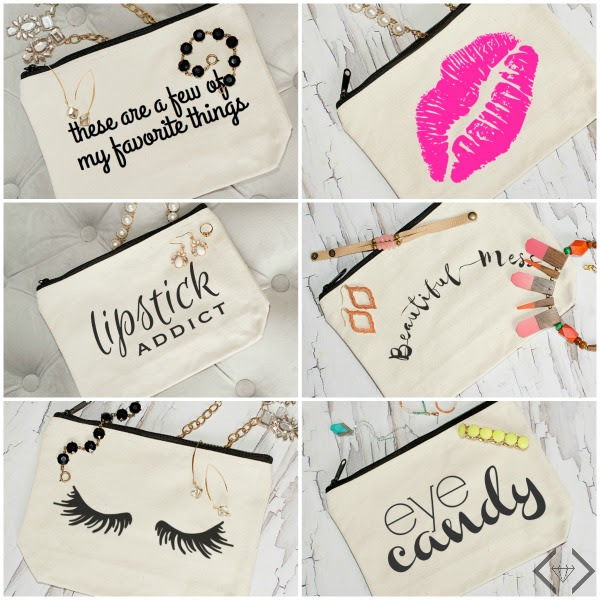 Style Steals - 6/1/16 - Makeup Bag Jewelry Grab Bag - $19.98 + FREE SHIPPING w/code GRABBAG20.